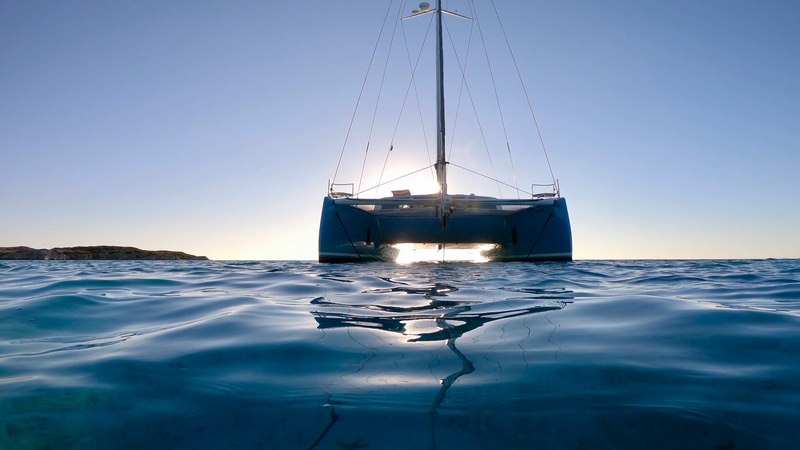 Ondine Blue has serious sailing experience under her hulls. This Balance 526 has even rescued sailors on a sinking vessel on her way to the Miami boat show last year! Most recently, she was sailed by David, Balbina, and Paddy to Turks & Caicos from Georgetown by way of the Thorny Path. The route is no easy feat, but it sure is a beautiful one. At one point as the team approached the island they could see the color of the water go from a deep blue to a light turquoise. In the space of a few meters the depth went from around 3,000 meters to 3 meters! Lucky for us, crew member Paddy has a keen eye for beauty and sent us amazing footage of the trip that you can see below.